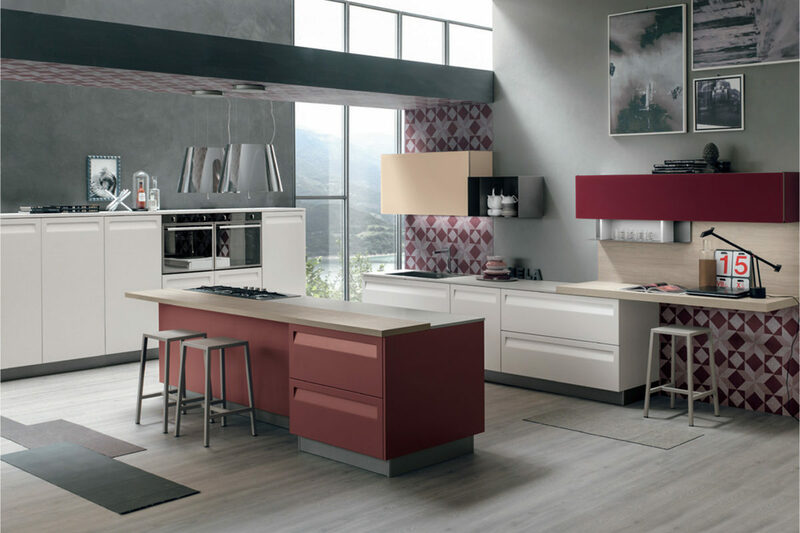 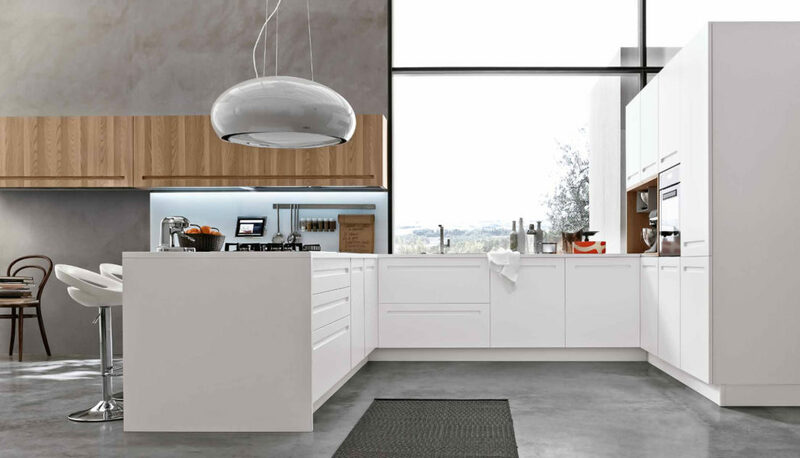 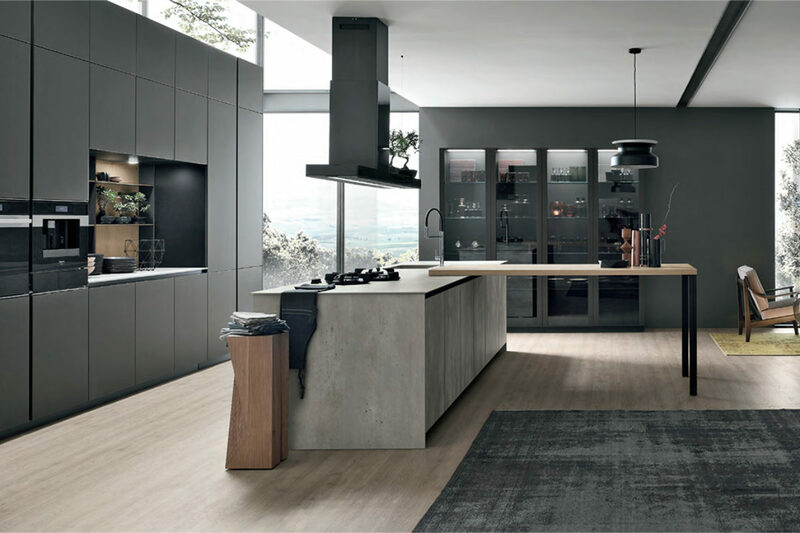 Mood is the modern kitchen that designs open space, combining the kitchen and living room with sophisticated continuity and discreet style. 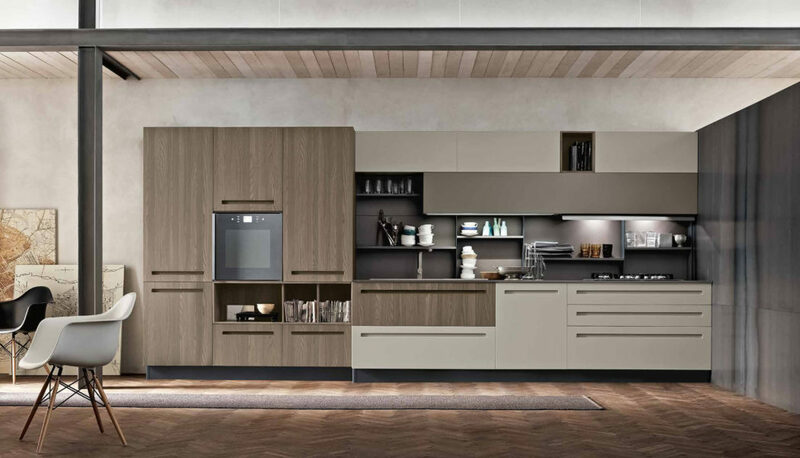 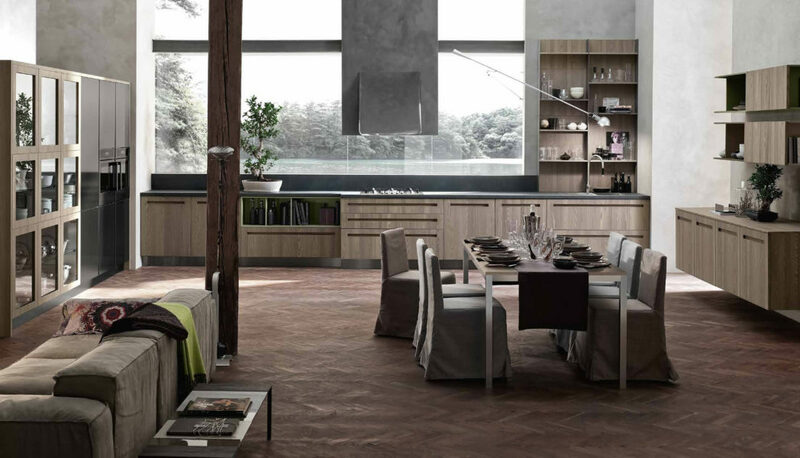 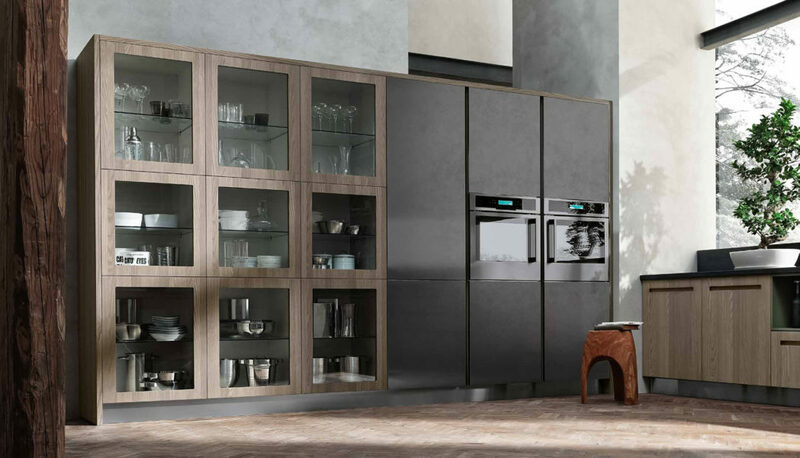 The brand new veneered elm finish, in the two natural and ash colors, introduces a new kitchen style marked by elegance which is both aesthetically pleasing and functional at the same time, with large spaces that can be personalized and that open the kitchen area up to the rest of the house. 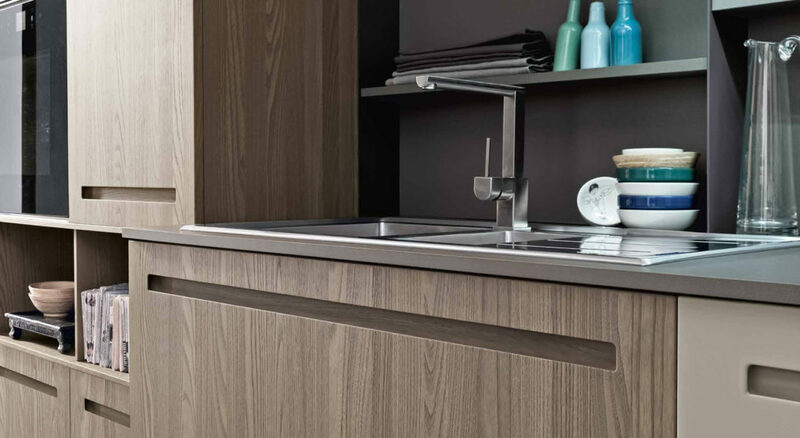 The characteristic feature of the base and wall unit doors is their flush-mounting handle; a minimal, linear detail that doesn’t go unnoticed. 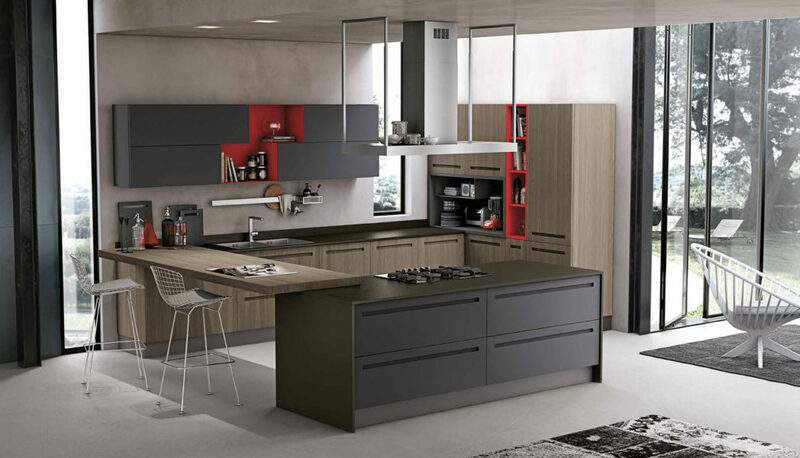 The Tetris modern, open elements with sliding doors with a smooth, lacquered finish (in five colors) complete the compositions with a touch of practical elegance.